Credit issues: James McCormack says structural weaknesses will continue to hurt India’s economy. Mumbai: Credit assessor Fitch Ratings will keep a close eye on the 13th Finance Commission report for clues to India’s fiscal outlook amid concerns over the country’s rising deficit. The commission is expected to present the report this month. 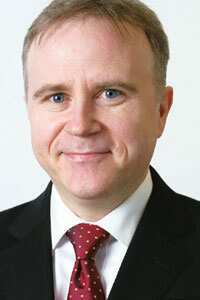 “We have concerns about the fiscal outlook in India," James McCormack, Asia-Pacific sovereign ratings head of Fitch Ratings, said in an interview. “I think the concern that we have is that some of the fiscal problems that India faces is not cyclical, but structural," McCormack said. “In other words, even when the economy comes back, the deficit is still going to be relatively high." The report of the Finance Commission, whose mandate covers a review of finances of the government and states and sharing of the net proceeds of taxes, is expected to be presented to the President by the end of the year, chairman Vijay Kelkar said in November. The deficit swelled largely on account of three stimulus packages worth more than Rs3 trillion that the government unveiled to prop up slowing economic growth following the credit crisis that began in September 2008 when US investment bank Lehman Brothers Holdings Inc. collapsed. McCormack said he does see some cyclical improvement in the economy even if the government does not change its policy stance or tax rates. The government’s revenue will increase, but the structural weaknesses in India’s public finances will continue to weigh, he said. “That’s why we are really more interested in 13th Finance Commission, and what comes out of that and how it is implemented...," he said. “It’s a big factor for us in assessing the creditworthiness of the government." It is important for the government to establish a credible medium-term fiscal pattern, he said. Fitch has a BBB- foreign currency rating on India, lower than Greece’s BBB+ rating. On 8 December, Fitch downgraded that country, the most-indebted Euro zone member, on concerns over the medium-term outlook for its public finances. In other words, India has a higher likelihood of defaulting on its debt than Greece. McCormack said Greece has a stronger set of creditworthiness (indicators) than India because of the latter’s structural issues. “The government debt levels are high and the fiscal deficit is consistently high and that’s contributed to a typically higher debt stock. The debt stock in India is much higher than we normally see for an investment-grade rating," he said. “There’s only one other investment-grade country which has higher debt ratio—Japan," he said, adding that Fitch does not believe either nation is likely to default. According to Fitch, India’s revenue-to-GDP ratio is comparatively lower than other investment-grade countries. In most BBB-rated countries, revenue as a portion of GDP ranges between 30% and 40%, but in India’s case, it’s close to 20%. The low number limits government spending on the social sector, infrastructure and subsidies. India’s current account deficit is not an issue, McCormack said, as its reserves are expected to increase and the local currency will strengthen on strong capital inflows. However, managing inflows will be a major problem in 2010, he cautioned, not just for India but for the entire region, as growth in Asian economies will likely outpace that in other parts of the world, enticing international investors.